I had the good fortune recently of seeing Emmet Cohen perform alongside bassist Christian McBride in an intimate setting. I was less astounded by the youngster’s technical skill (young hotshots are not that hard to find) than I was by his wit, warmth, and incredible taste; he knows when to go big and he knows when to stay small, and he knows how to compose a line. 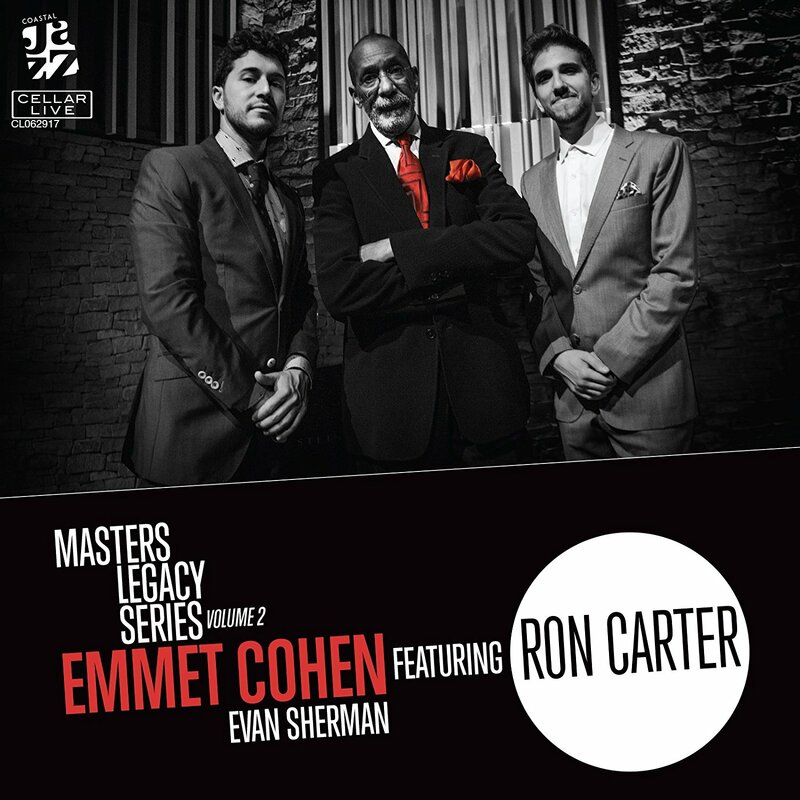 All of his talents are on ample display here on this trio date organized as a tribute to bassist Ron Carter, and they are never more impressive than when they’re put to use in keeping the focus on Carter. (Drummer Evan Sherman is an avatar of taste as well.) Cohen’s ongoing Masters Legacy Series project is itself an exercise in turning the spotlight on others, a sign of professional maturity that is almost as impressive as his musicianship. A must for all jazz collections. Both Antoine Forqueray and his son Jean-Baptiste were famous players of the viola da gamba, but they were also accomplished and somewhat idiosyncratic composers for the harpsichord. This four-disc set brings together all of the known works of Forqueray père et fils, most of them either composed for harpsichord or transcribed for that instrument from viol pieces. The potentially monotonous continuity of timbre is broken up by a scattering of pieces for viol and continuo. 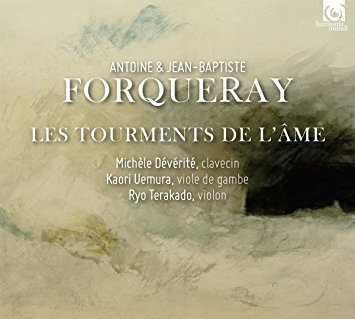 The fifth, bonus disc features a biographical narrative of the Forqueray family read by Nicolas Lormeau (in French, no translation provided) and accompanied by music. For all libraries with a collecting interest in music of the baroque period. If, like me, you have difficult childhood memories of the 1960s and 1970s, you might find yourself initially put off by the cover image: flowing hair, flowing bellbottoms, a gong, interpretive dancers, a surfeit of unfortunate facial hair. You could easily be forgiven for expecting an onslaught of hippie-dippy musical twaddle masquerading as mystical spirituality. 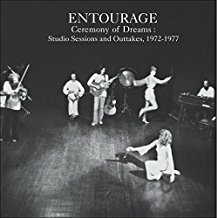 But that’s not what Entourage created during its run of several years (and two albums) in the early-to-mid-1970s: yes, this music can fairly be characterized as dreamy at times, but it is also frequently tightly structured and disciplined, and surprisingly varied in tone and texture–minimalist in the way that minimalism might sound if Terry Riley and Steve Reich had collaborated. These three discs include a wealth of previously unreleased material, including outtakes from those two albums (which are not included here). The remastered sound is rich and pristine. Highly recommended to all libraries. 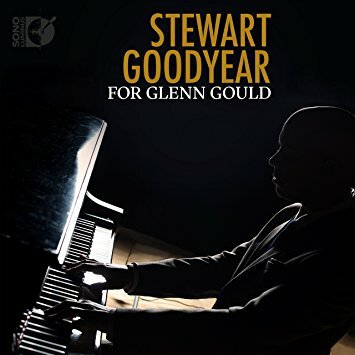 Canadian pianist Stewart Goodyear here pays tribute to one of his heroes, the legendarily idiosyncratic Glenn Gould. For this disc Goodyear plays the same program that Gould played for his American debut: a weird-looking but actually deeply logical assortment of works by Gibbons, Sweelinck, Bach, Brahms, and Berg. This program allowed Gould to express both his deep love of counterpoint and polyphony, and the streak of Romanticism that always ran just beneath his sometimes dry-sounding articulation. Goodyear’s tribute to Gould is loving but not slavish, and brings new light and insight to this strange but wonderful recital program. For all libraries. Here we have music by a giant of the late Medieval period (Machaut) and a somewhat lesser-known giant of the early Renaissance (Compère). 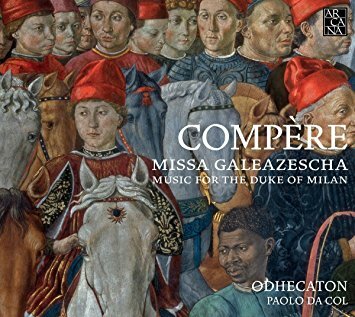 In each case the program is built around a centrally important Mass from that composer’s repertoire: Machaut’s Messe de Nostre Dame (the first known setting of a complete Mass Ordinary) and Compère’s Missa Galeazescha (of which, as far as I can tell, this seems to be the world-premiere recording). Machaut’s work has been widely recorded, but rarely by a mixed-voice ensemble like the Vienna Vocal Consort. In another interesting move, the group has chosen to juxtapose Machaut’s vinegary, stark-sounding piece of early polyphony with much more consonant later works by the likes of Victoria, Du Fay, and Palestrina–all of them united by a similarly Marian focus. This makes for a nicely varied array of flavors and harmonic textures. On the Compère disc, the sections of his Mass setting are interspersed with brief instrumental works by his contemporaries, most of which seem to have been recorded at a different time from the vocal parts (the original recordings took place in 2005, but seem to be released here for the first time). As one might expect of music written in the mid-15th rather than the late-14th century, the harmonies are sweeter and lusher than those of the Machaut work, but still quite somber and dark. Both of these recordings are outstanding and should find a place in any early-music collection. Ever since it emerged as a new musical style in the 1960s, minimalism has faced a fundamental challenge: how to maintain the listener’s interest while deploying a minimum of harmonic and/or melodic and/or textural elements? Sometimes the answer has been “Who cares whether the user is interested?,” and the composer has used sheer, bludgeoning repetition as a musical statement (see Steve Reich’s Four Organs, and the reaction to it). But more often the answer has been to use selected elements minimally and others more generously: consider, for example, the way Reich’s Drumming creates constantly-shifting rhythmic tessellation from the phased repetition of a single pattern. Another answer is to leave certain options open: a work like Terry Riley’s In C may be spare or dense, depending on how one interprets the score. The same is true of Philip Glass’s Music for Changing Parts, which can be played by any number of differently-configured ensembles. 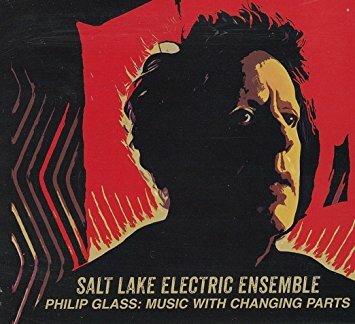 Here the work is realized by the Salt Lake Electric Ensemble, almost all of whose members employ laptops as well as such instruments as electric guitar, trumpet, cello, saxophone, and flugelhorn. 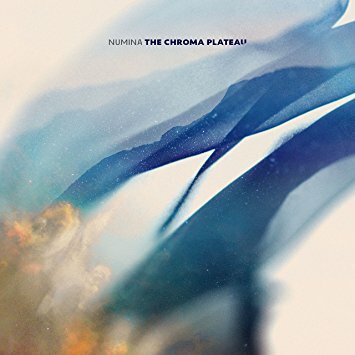 The organic instrumental sounds are generally processed electronically, imparting a tight digital atmosphere to the overall performance and also creating a kaleidoscopic variety of sounds and textures within the piece’s minimal harmonic pallette. The result is, quite simply, gorgeous–and I say that as someone who isn’t a particularly big Glass fan. Strongly recommended to all libraries. Although those mainly familiar with his vocal works might be surprised to learn this, Christopher Tye was a strange, strange dude. His eccentricity is most clearly on display in his instrumental music, particularly his compositions for consort of viols. 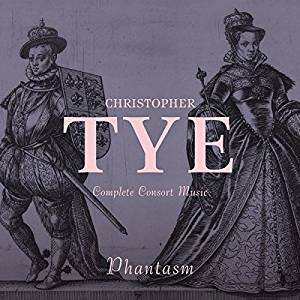 This lovely disc by the outstanding Phantasm ensemble (right up there with Fretwork in the pantheon of English viol consorts) brings together all of Tye’s work in that medium, showing off his unparalleled ability to gleefully fling aside the most basic rules of rhythm and counterpoint while still creating sounds of sumptuous beauty. Whether you’re listening to laugh with glee at his rule-breaking or simply to luxuriate in his melodic invention, this disc is sure to please. 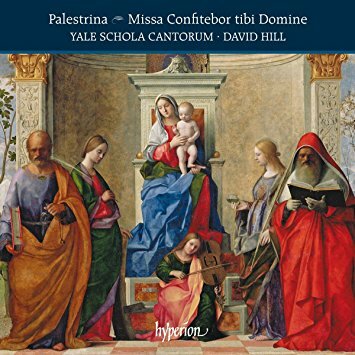 Palestrina wrote the motet Confitebor tibi Domine around 1572, and then published a parody Mass based on it a few years later. Although it would have been performed mainly in the Sistine Chapel (where a separation of choirs was not physically possible), the work is written in the classic Italian polychoral style, with separate parts for two groups of singers facing each other across the room. The Yale Schola Cantorum recorded this Mass (along with several instrumental renditions of motets and canzonas arranged for organ and cornett) in the sonically rich and spacious Christ Church of New Haven, lending the already majestic part-writing an even deeper resonance and an air of deep solemnity. This also, unfortunately, somewhat undermines the clarity of the parts, but the overall effect is magnificent. 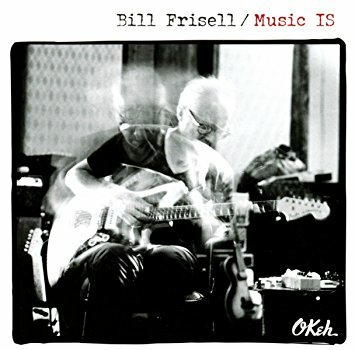 Like so many of us, guitarist Bill Frisell has gotten less skronky with age. And yet, in his sweetest and most lyrical moments there is very often an echo of weirdness–an off-kilter arpeggiation here, the quiet yowl of a strangely bent note there–that hints at something deeper, just as his most noisy excursions in the past were so often leavened by hints of the gentle but sharply intelligent sweetness that is at the core of everything he plays. His latest album is a pure solo project, on which the only instruments you hear are played by him (often in multitracked layers). The mood is generally quiet and, as has been his tendency over the past decade or two, rustic. 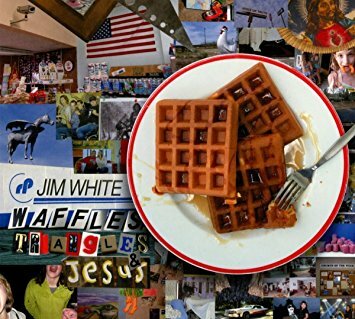 It’s instantly accessible–as I was listening in my office this morning, the janitor who walks by every morning and often stops to say hello, but has never ever asked about the music she hears coming over my speakers, turned around as she passed my office and said “Who are you listening to?”–but it’s never simple even when it sounds that way at first. For all libraries. 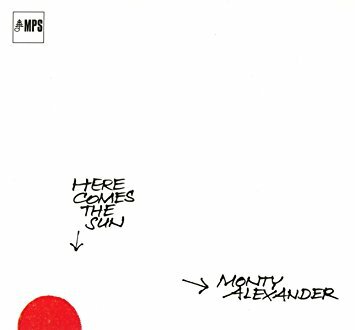 When he was coming up, pianist Monty Alexander was often compared to Oscar Peterson, and listening to this reissue of a 1971 quartet date, you can see why: there are those big chords, the quick musical wit, and maybe (let’s be honest here) the tendency to show off a bit more than is strictly necessary. But Alexander brought something uniquely his own to the mix: a Jamaican heritage, which led him quite naturally to incorporate both Latin beats and Afro-Caribbean inflections into his playing, both of which we hear on this very fun session. Notice the full-on calpyso of “Brown-Skin Girl,” and the bizarre “Good King Wenceslaus” quote on the outro to “Where Is Love?”. Also note that the astonishing drummer Duffy Jackson was 18 years old at the time of these sessions. Try to ignore the awkward Latin funk of the title track, which probably seemed like it made sense in 1971. 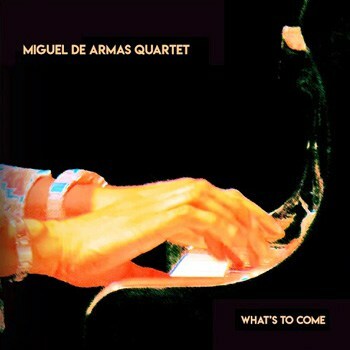 For his debut album as a leader, the Ottawa-based, Cuban-born pianist and composer Miguel de Armas has chosen to present original compositions in a wide variety of styles, from the straight Afro-Latin groove of “Yasmina” to the more fusion-inflected “A Song for My Little Son” and the ska-with-tabla feel of “His Bass and Him.” But the sounds of Cuba, collectively, are the thread that binds all of these multifarious tunes together: sometimes those sounds are at the forefront (as on the delightful “Pam Pim Pam Pum” and, well, “Rumba on Kent St.”) but often they are present more subtly. Personally, I found the two tracks featuring rockish electric guitar to sound a bit out of place, but not fatally so. Very nice overall. 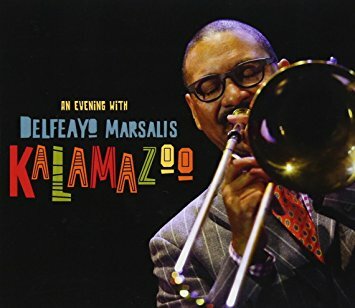 Trombonist Delfeayo Marsalis leads a quartet that includes his father, the living treasure Ellis Marsalis, on this concert program that focuses on rollicking standards and makes inevitable references to New Orleans–both in the Marsalis’ playing styles and in the inclusion of “Do You Know What It Means to Miss New Orleans” as a show-closer. It also pays particular attention to the blues: not only does the program open with a blues number, but it also includes “Blue Kalamazoo,” a tune that was composed spontaneously during the concert. He asked the audience what key the band should play in, and away they went–with guest vocalist Christian O’Neill Diaz scatting along. 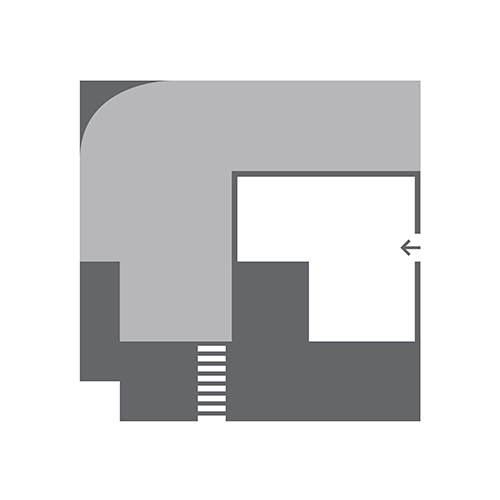 (Using the twelve-bar blues structure kept the bandmembers from going too far off the free-jazz tracks.) Anyway, the whole thing is tons of fun. 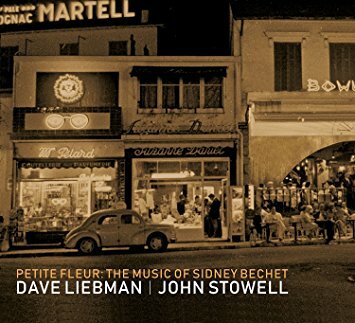 And speaking of New Orleans, here is a quiet and heartfelt tribute to one of the four or five most influential musicians of that city’s early jazz scene: the soprano saxophonist, clarinettist, and composer Sidney Bechet. The tribute is quiet because the music is played by only two people: reedman Dave Liebman and guitarist John Stowell. Early jazz is often raucous, but here the musicians treat these melodies like jewels–not stinting on energy or passion, but presenting them with a rare blend of gentleness and glee. The title tune is recorded in three versions: once as a duet and once as a solo by each muscian. This is really quite a special album and should find a place in any library’s jazz collection. 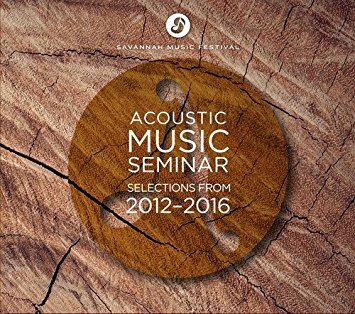 The Acoustic Music Seminar takes place every year in connection with the Savannah Music Festival in Georgia. It’s run by Mike Marshall (one of the architects of the “new acoustic music” sound back in the 1970s and 1980s), and brings together sixteen outstanding young musicians for a week, during which they write compositions that are premiered at a concert at the end of the week. This selection of recordings draws on five years of those concerts, and features banjo players, mandolinists, fiddlers, and cellists, among others, as well as an early performance by the amazing Kaia Kater. The music tends to be jazzy and sometimes almost neoclassical, but it also frequently draws on folk and bluegrass elements. Very, very nice. 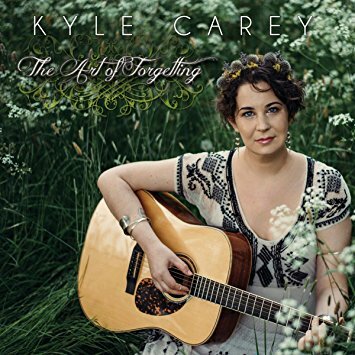 On her latest solo album, the angel-voiced Kyle Carey continues to explore the intersections of Celtic folk and Americana, only now she’s doing so in a somewhat more jazzy and swinging style. This approach is most startling on her unique arrangement of the popular favorite “Siubhail a Rùin,” which is normally played as a slow lament but is taken here at a loping medium-swing tempo. “Sweet Damnation” is similarly jazzy, and features the lovely combination of a horn section and an Irish flute. Dirk Powell’s production is careful and brilliant–as is his clawhammer banjo playing on “Tillie Sage.” And of course, Carey’s singing is a wonder as it always is. Recommended to all folk collections. There’s alt-country, and then there’s just flat-out weirdo country. That’s what you should expect when the press materials describe the artist in question as an “enigmatic Southern gothic anatomist.” Although as weirdness goes, Jim White’s is much less forbidding than some (for example, when Nick Cave gets countryish the results may leave you doubting the existence of God, if you didn’t already). Here the weirdness tends towards the whimsical (for example, “Playing Guitars,” which is a humorously straight-ahead lament undermined in its straight-aheadness by the Ali Farka Touré cameo), but there’s plenty of emotional depth here as well–particularly on the album-closing “Sweet Bird of Mystery,” a song that White wrote for his unborn daughter 20 years ago and only recently revealed to her. 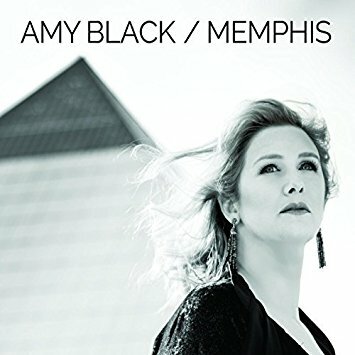 The album title says it all: this is singer and songwriter Amy Black’s tribute to the city that has shaped her so much as an artist. It can be seen as a continuation of her equally-revealingly-titled previous effort, The Muscle Shoals Sessions. Both her original songs and her selection of covers show her to be richly steeped in the traditions of 1950s and 1960s Memphis soul, and her voice is a rich, honeyed treasure. The sidemen she enlisted for these sessions deliver plenty of good greasy groove without recourse to tired clichés or lo-fi affectation. The album sounds great, the songs are great, and Black is (did I mention this?) a great singer. “Wælder are moving between ambient, industrial and pop. Their rhythms and soundscapes of voices, obscure samples and distorted field-recordings build spaces of barren material and soft ground, which teem and crawl – strange and harmonious.” That’s not a bad description of this Viennese duo’s weird instrumental post-rock, but I would suggest that it overstates both the music’s creepiness and its relationship to pop. In fact, this music is generally quite pleasant; in fact, it has nothing to do with pop. And I should probably add that by “pleasant” I don’t mean that its sonic contours are comfortingly familiar, that there are any real melodies, or that its occasionally-regular rhythms ever approximate a groove. I just mean that it’s pleasant, and that it’s consistently interesting. For adventurous rock collections. Composer/multimedia artist Shuta Hasunuma regularly incorporates environmental and found sounds into his music, which in turn he often incorporates into his art installations and sculptures. 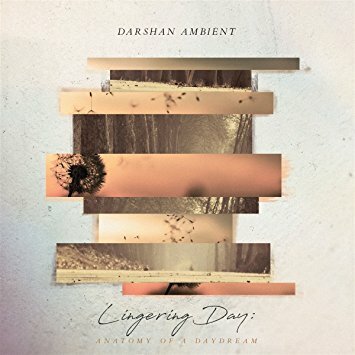 For this album he teams up with electronic artist U-zhaan and some startlingly A-list vocalists (Arto Lindsay, Devendra Banhart) and even with famed pop and soundtrack composer Ryuichi Sakamoto to create a crazy quilt of softly bizarre but completely lovely pieces of experimental groove music. A tabla player is featured prominently (the press materials provide no musician credits, so I can’t tell you much more than that), and the rhythms are frequently deeply complex even as the overall mood remains gentle and soft. Highly recommended to all libraries. You want instrumental pop music that’s even gentler and softer, and maybe a bit less bizarre? Then you can always count on the Spotted Peccary label, which is often (inaccurately, I think) characterized as a purveyor of New Age music. I would instead say that it releases ambient music, and in response to the obvious question (“What’s the difference?”) I would say: if it sounds better the more closely and critically you listen, it’s ambient rather than New Age. Now, Michael Allison (who records under the moniker Darshan Ambient) can sometimes be accused of flirting with the line that separates the pleasant from the cloying, but to his credit he generally stays on the right side of it. Occasional incursions of glitchy electro percussion and dubwise sound effects help; so does his solid basis in rock’n’roll (including a stint in Richard Hell & the Voidoids). The work of Numina (Jesse Sola), on the other hand, is almost entirely abstract and ethereal. It’s less tuneful–by which I mean it’s not tuneful at all–but in some ways it’s also more engaging. Don’t be discouraged by track titles like “Intergalactic Traveler” and “Mosaic of Whispers”; none of this music is dippy or silly, and in fact much of it is so abstract that you experience it more in terms of color and texture than melody or shape. A good point of reference is Brian and Roger Eno’s Apollo soundtrack from 1983. Both of these are recommended, with the edge going to the Numina album. Being, as I am, a total sucker for glitchy electronic funk with lots of wobbly sub-bass frequencies, I was delighted to stumble across the work of Bermuda-based husband-wife duo H+ a few weeks ago. Malcolm Brian Swan is a bassist, composer, and producer, and his wife Nicola contributes vocals–usually mixed in such a way that the words are more or less indistinct, and her voice basically becomes another instrument in the rich, heady mix. 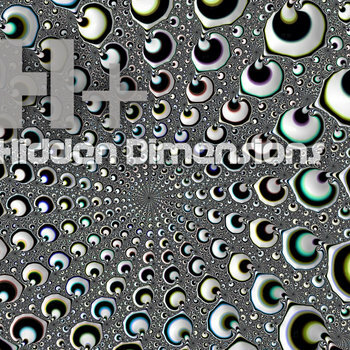 Hidden Dimensions leans towards the glitchy-dubstep side of things, but listen for the Latin-funk track as well. All of it is wonderful. 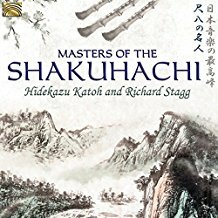 The shakuhachi, a Japanese end-blown bamboo flute, has a long an honored history in that country. 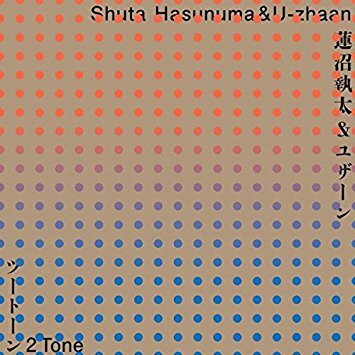 This disc focuses on duets for the instrument written by living Japanese composers, each of them demonstrating a different mix of abstract modernism and engagement with the past. There is also one ancient piece, an anonymous 18th-century work entitled “The Braying of the Deer.” Nothing here is really avant-garde–no extended techniques or microtonal weirdness–but the instrument’s naturally complex tone creates lots of timbral interest, and Katoh and Stagg both play with an impressive intensity and emotional range. 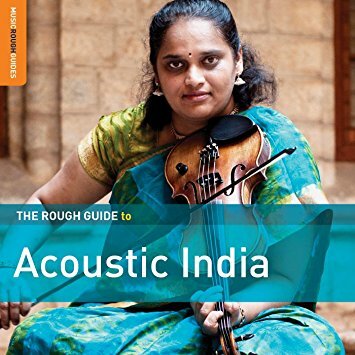 As usual from the Rough Guides crew, this disc presents a broad but still nicely compact overview of various musical traditions from the Indian subcontinent–the modifier “acoustic” signaling that this will not be Bollywood pop music or Mumbai disco, but rather that the collection will focus on classical and folk traditions unmodified by electric or electronic instruments. 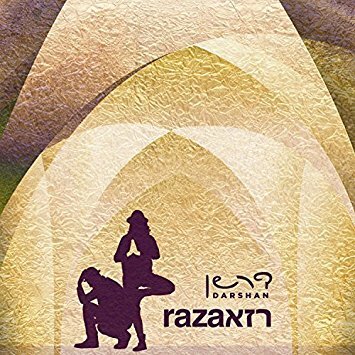 The musical and religious sources presented here are diverse: Sufi religious poetry sung by Noor Alam, Carnatic violin music by Jyotsna Srikanth, a gypsy brass band from Jaipur, slide guitar music from the brilliant Debashish Bhattacharya. Unfortunately the disc package includes only the most schematic liner notes; a website is provided for those who want full musician credits and other additional information. But for libraries in need of a single-disc overview of various Indian musical styles, this is a great option. It would be hard to exaggerate the influence that Neil “Mad Professor” Fraser has had in shaping the sound of British reggae. 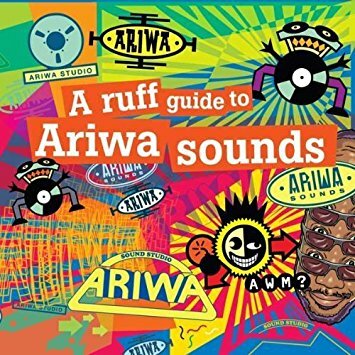 His Ariwa Sounds label has been in operation for more than three decades now, providing an outlet for both up-and-coming artists and established legends–and his smooth, digital production style is a major ingredient in the lovers rock sound that emerged in London during the 1980s. And as a producer, his aggressive and fun-loving approach to dub remixing has influenced two generations. This is an outstanding collection of classic tracks from the Ariwa studio, opening with the deathless “Kunta Kinte” rhythm and then proceeding to deejay tracks from the likes of U Roy and Big Youth, as well as plenty of dubs and straight vocal tracks from singers like Sister Audrey, Aisha, and Max Romeo. A perfect choice for library collections. And speaking of essential reggae reissues, don’t overlook the continued stream of long-awaited re-releases that are emerging thanks to the Omnivore label’s recent acquisition of the Nighthawk Records catalog. Nighthawk’s vaults aren’t especially deep by reggae standards, but the music it released during the 1980s and early 1990s is almost all fantastic. 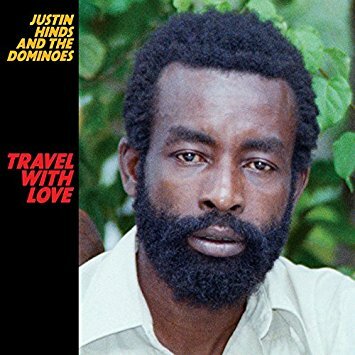 Among the best titles in that list is the utterly brilliant Travel with Love by ska/rocksteady/reggae legend Justin Hinds, with his band the Dominoes. This reissue adds ten bonus tracks (mostly dub versions) seven of which are previously unreleased. 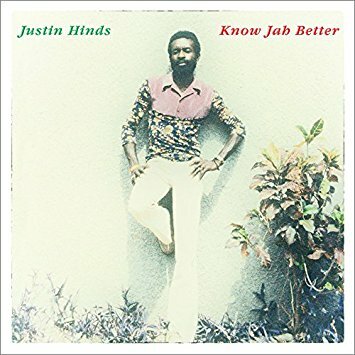 Less essential but still not bad is Hinds’ Know Jah Better, which has a slightly antiseptic digital production sound, but features more outstanding singing from Hinds. Both should be seriously considered by libraries with a strong collecting interest in reggae; those that collect reggae more selectively should opt for Travel with Love. Well, this is fun: ancient Kabbalistic invocations of the Divine Feminine intended to open the Friday Shabbat service are blended with modern electro-funk and hip hop, complete with rapping and singing in English, Hebrew, and Aramaic, as well as smatterings of beat-boxing and even–get this–vocalized turntable scratching. (Roll your eyes if you want, but they nail it.) Basya Schechter has a gorgeous, bell-like voice, and she alternates vocal duties with “neo-Hassidic” rapper MC ePRHYME to deliver messages of spiritual uplift, cultural exhortation, and inscrutable mysticism, all with a beat and with plenty of lovely, sinuous melodies. For all libraries. About 30 years ago the Western world fell in love with Bulgarian folk song via the Mystère de voix bulgares album, originally issued on Nonesuch and later reissued on the 4AD label, which was already an established favorite of mopey postpunk hipsters everywhere, and for which the album was, surprisingly enough, actually perfectly suited. That album (and its subsequent volumes) focused on choral arrangements of these melodically astringent and rhythmically knotty songs. 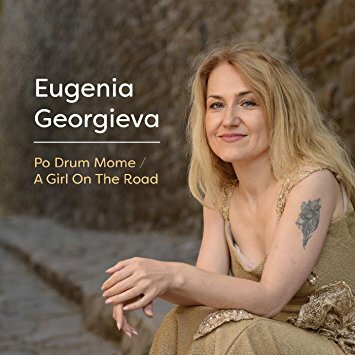 The debut album by Eugenia Georgieva draws on a similar repertoire, but presents them in arrangements for solo voice and a variety of acoustic instruments. Georgieva sings with joyful energy but also sharp precision, and if you want to challenge yourself, count the time-signature changes while listening. This one is a pure blast.